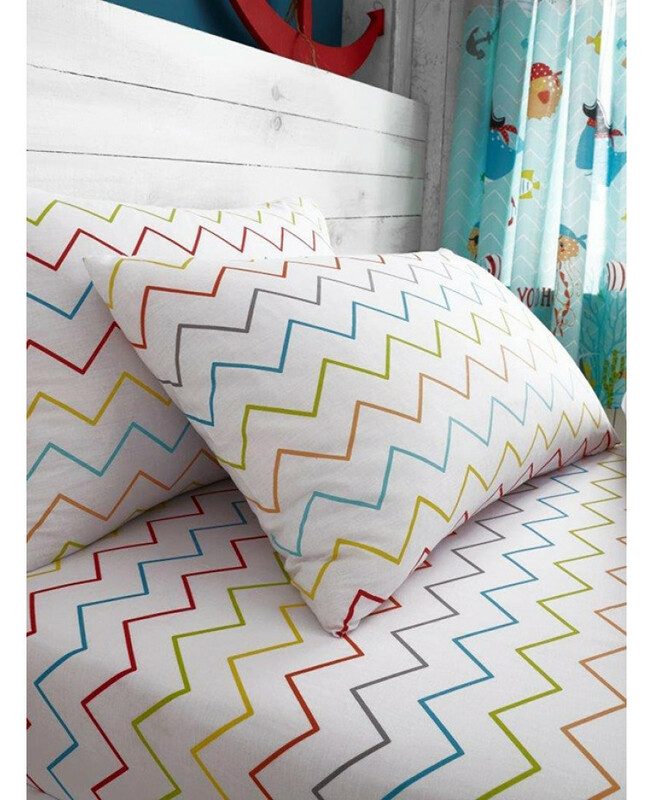 This Zig Zag Single Fitted Sheet and Pillowcase Set is the perfect finishing touch for any bedroom. It features a multi coloured chevron pattern in tones of yellow, orange, green, red, blue and grey on a white background and makes a great accompaniment to our range of single duvet covers. This fitted sheet set is made from a polycotton blend and is suitable for machine washing and tumble drying.